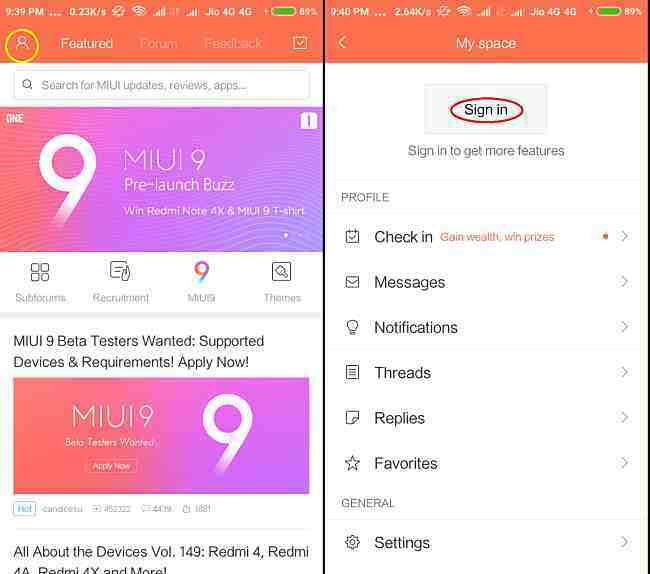 Those who are waiting for MIUI9 and Its new features then here is the great news for them Xiaomi inviting beta testers for the new MIUI9. 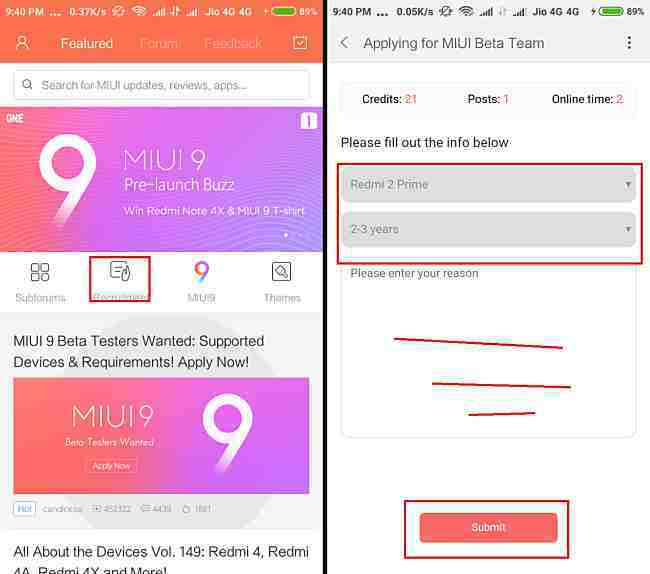 So if you want the early access of latest MIUI9 and you are interested in finding bugs and stuff like that then you can apply for this beta tester program. Here I am showing you how to apply to become a beta tester for MIUI9. Now open it and tap on the user icon on top left corner. After successfully signing in tap on the Recruitment option on the home page. Now on next page fill your device details and a legit reason why you want to become beta tester and tap on submit. 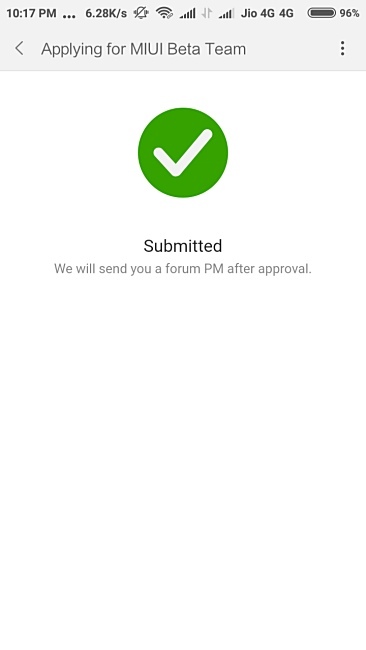 If you have successfully done everything then you’ll see this message and now you have to wait for message from MI forum.